King Richard I, the Lionheart, had taken the Cross and journeyed to the Holy Land in 1190. He led his army of approx. 15,000 men to within 12 miles of Jerusalem, but did not re-take the holy city. After a truce with Salah-al-Din, Richard attempted to return home, but was faced with enemies on his path. He was captured by Duke Leopold of Austria outside Vienna around the 20th of December 1192, and by early spring 1193, had been turned over to Heinrich VI, the Holy Roman Emperor. The emperor demanded a huge ransom of 150,000 silver marks – more than twice the annual income of England! Richard was kept imprisoned while his brother Prince John plotted with King Philip of France – the two of them offered the emperor monies to keep Richard in prison for another year! Despite their subterfuge, Richard finally was freed from his German prison in February 1194. For Richard’s incredible journey back from the Holy Land see my post on the English Historical Fiction Authors (EHFA) blog, Richard the Lionheart’s Ordeal, October – December 1192. A second contribution on EHFA details the siege of Nottingham. 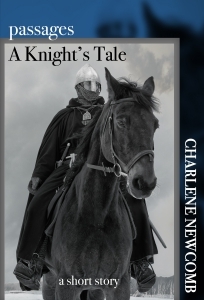 Charlene Newcomb is currently working on Book III of Battle Scars, 12th century historical fiction filled with war, political intrigue, and a knightly romance of forbidden love set during the reign of Richard the Lionheart. There will be more to come, so sign up for Char’s Newsletter. It will be used – sparingly – to offer exclusive content and and to let you be the first to know about special offers. Reblogged this on Charlene Newcomb.